Bolo out on the Churchill Downs track early on Kentucky Oaks morning. 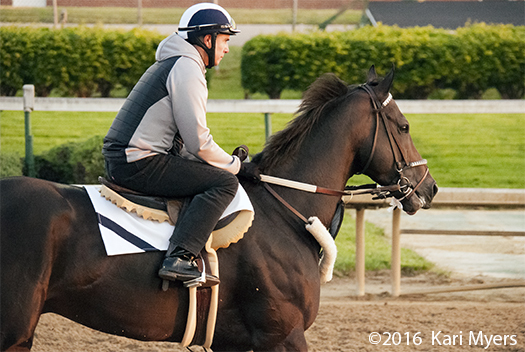 Bolo, the stunning colt by Temple City, was out on the track early on Kentucky Oaks morning to stretch his legs. He always stands out in a crowd.